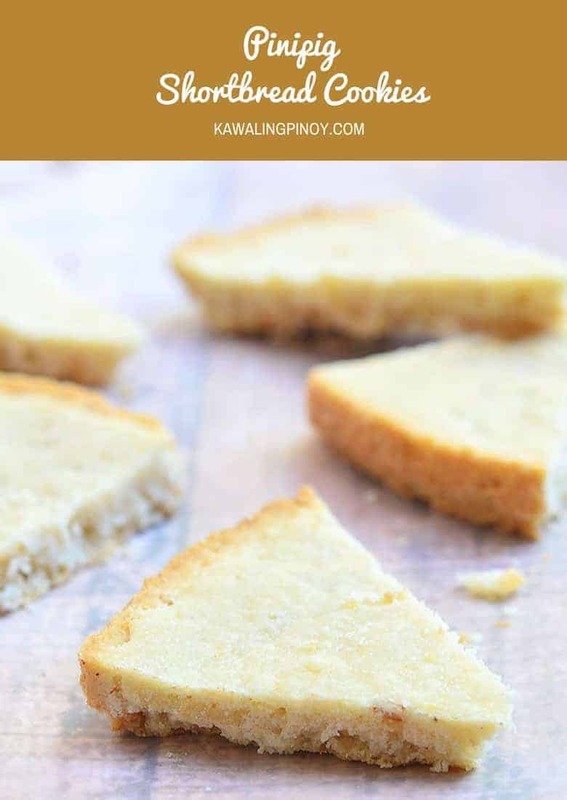 These Pinipig shortbread cookies are so crisp and buttery, I am almost tempted to perch myself on a podium and sing my own praises. 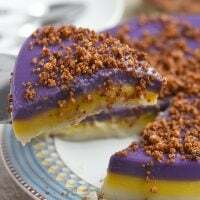 But that would have been me standing on shaky ground because really, pinipig shortbread cookies like these ones made of flour, butter, and sugar are nothing new in Filipino cuisine with polvoron being the perfect example. 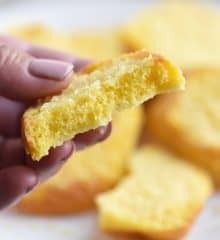 These shortbread cookies are baked in low temp just until they are light brown across the top surface and a slightly deeper brown around the edges. There are three ways you can make them. Press the dough down into a round pan, bake and cut into segments while still warm from the oven. Roll the dough out into a 1/2 inch thick slab and then slice into “fingers”. 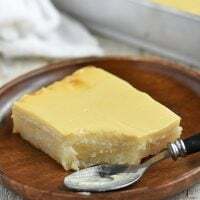 Drop by tablespoonful on a baking sheet and flatten down before baking. Please note that the cookies will be soft and crumbly fresh from the oven but will firm up nicely as they cool. Enjoy them with hot tea, coffee or tsokolate for a delightful treat. Lightly grease a springform or round pan. 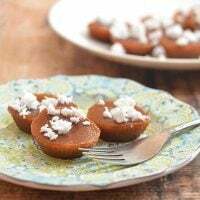 In a bowl, beat together butter, sugar, and vanilla extract until fluffy. Add flour and pinipig and continue to beat until just combined. If the dough feels too dry, add another 1 to 2 tablespoons softened butter. 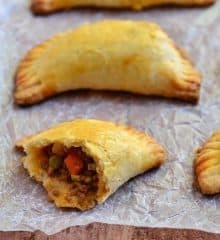 With hands, gently press dough into prepared baking pan. Using back of a spoon, gently smooth surface of dough. Using a fork, prick dough all over. Bake in a 300 F oven for about 20 to 30 minutes or until lightly browned on top surface and a slightly deeper brown around the edges. 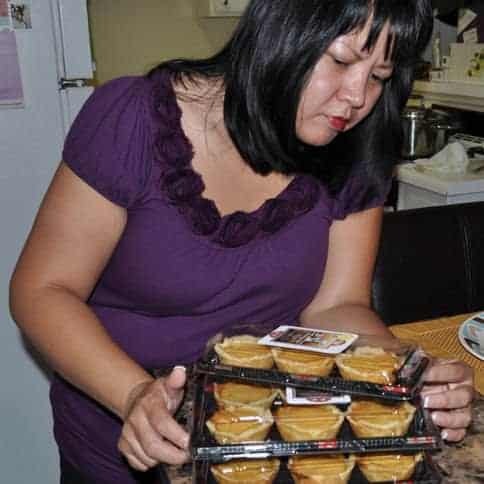 Remove from oven and immediately turn out onto a flat surface. 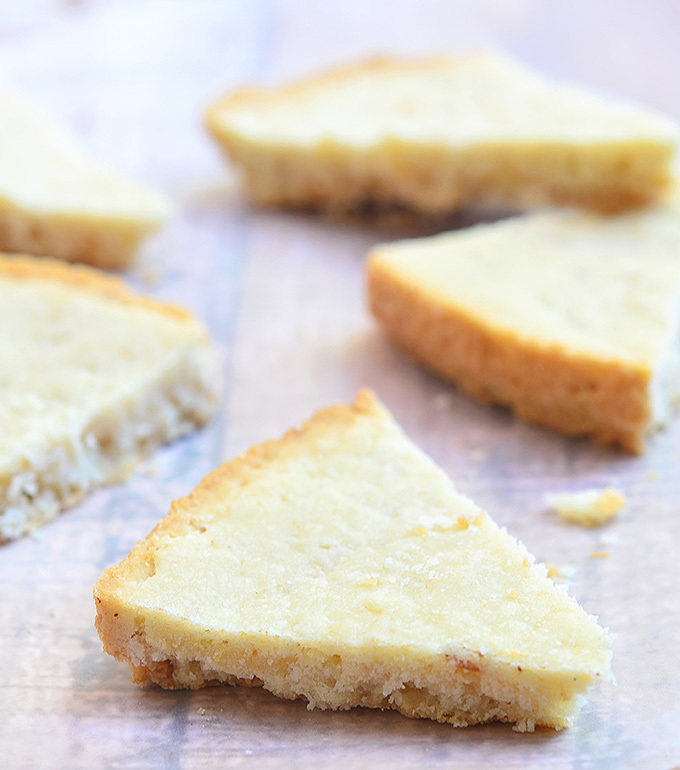 With a knife, cut shortbread into 12 wedges. There is a search bar available, you’ll find it right were my picture is :). Also, please use the recipe index tab, it lists all the recipes we have here at Kawaling Pinoy. 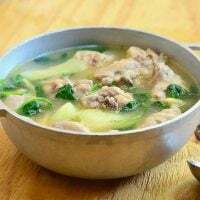 Thank you for sharing this filipino recipe. I will make on this weekend. Keep on posting! Cheers.